Home / News / INDIA: Stop forced land acquisition in Yaithibi Loukon. INDIA: Stop forced land acquisition in Yaithibi Loukon. The Asian Human Rights Commission (AHRC) has received information from the Affected Land Owners’Association against Forced Land Acquisition for Sports University and the Centre for Research and Advocacy, Manipur, regarding the forced acquisition of prime agricultural land despite protests from farmers and residents. The proposed acquisition to set up the National Sports University will affect 5 villages and seriously threaten land and livelihood security of more than 1,700 families. And, a proposal for the construction of the Asian Development Bank Funded Trans Asian Highway has only added to the anguish of the community. The AHRC urges the government of Manipur to immediately stop the acquisitions and engage with a free, fair, and meaningful dialogue with the community. The AHRC also urges the Asian Development Bank to stop funding the proposed highway until the community gives free, prior, and informed consent for the land acquisition. The Manipur state government in North East India has embarked on an arbitrary plan to set up the National Sports University at Yaithibi Loukon in Thoubal District, Manipur; the area has prime agriculture land. The decision, announced by the Chief Minister on August 24, 2014, without obtaining free, prior, and informed consent of the farmers and residents in and around Yaithibi Loukon, will seriously affect the land and livelihood security of the people living there. The “Yaithibi Loukon” is prime agricultural land surrounded by five villages, comprising various communities. The site has some of the most fertile cultivated lands that supports multiple crops in a single year. The proposed land acquisition will affect an area of approximately 642 acres. This comprises 380 acres of agricultural land, 100 acres of habited area, and 162 acres of hill/forest area, and will render the villagers homeless and landless. The acquisition will directly affect 5 villages: namely Koijam Village (95 houses), Laiching Minou Village (150 houses, belonging to the Maring community), Sora Village (1,402 houses belonging to the Muslim community), Langthabal Village (98 houses), and Yaithibi Khunou Village (7 houses belonging to the Meitei community). The forced acquisition will affect homestead land, religious sites, agricultural and forest land, and cemeteries too. The Manipur government arbitrarily declared the proposed Sports University site to be “Khas Land or uninhabited land”, despite the fact that the proposed site being continuously inhabited historically and people have evidence to prove the same. Further, despite the proposed acquisition comprising parts of Hill Areas, which therefore falls under the jurisdiction of the Hill Areas of Manipur, the Hill Areas Committee has not been consulted. By not doing so, the government has failed to comply with provisions under Article 371 C of the Indian Constitution, which requires the Governor to make a report to the President regarding the administration of the areas of Manipur. Apart from the proposed acquisition for the Sports University, the residents of Yaithibi Loukon are also threatened with confiscation of their prime agriculture land for the construction of the Trans Asian Highway, also known as the Asian Highway 1. The Highway is to be funded by the Asian Development Bank and the project envisages connecting Manipur with South East Asian Countries. The proposed Asian Highway will affect more than 100 acres of agriculture land in and around Yaithibi Loukon. Once again, the government has taken this decision arbitrarily, without having any social, environmental, economic, cultural impact assessment, as mandated by the Right to Fair Compensation and Transparency in Land Acquisition, Rehabilitation and Resettlement Act, 2013. The affected villagers have vehemently protested against the state government for attempting to illegally and coercively acquire land without their consent for the setting up of the Sports University at Yaithibi Loukon. The locals of five villages in Thoubal district have held several meetings and reaffirmed resolutions to object to the government’s move of acquiring land without consulting the people and obtaining their consent. The affected communities opposed the forced survey by the Thoubal District Deputy Commissioner and the Revenue Director on October 23, 2014. The Manipur government has also used its might for the proposed acquisition. The state police cracked down on a peaceful rally on November 24, 2014, and injured many protesters. It also desecrated religious places in the process. An additional concern is the arbitrary arrest and illegal detention of Md. Jalaruddin by the Manipur police of the Kakching Police Station on 22 February 2015, for opposing the forced acquisition. Further, the government is also threatening other members of the Affected Land Owners Association against Forced Land acquisition for Sports University in Manipur with arrest. Such arbitrary detention of a community leader endeavouring to defend peoples’ land and future is a clear case of human rights violation and an undemocratic act. The Manipur government has claimed to have acquired 213 acres on 18 March 2015 without the knowledge and consent of affected communities. The government, through the Deputy Commissioner of Thoubal District, cancelled the land records of the villagers of the Langthabal Khunnou, Yaithibi Loukon, on 3 February 2015, without any prior consultation and and arbitrarily transferred ownership of land of around 20 acres, to unknown people. It has further, arbitrarily, conferred ownership of community land records, of around ten acres, to the Department of Youth Affairs and Sports, Government of Manipur, on 12 February 2015. Such land transfer is illegal and violates the on 8 December 2014 ruling of the Manipur High Court concerning Yaithibi Loukon land acquisition, in which the Court had ordered the government to follow the due process of law. Since October 2014, the state government of Manipur has been disturbing the peaceful existence of the community members and the environment of the affected areas by deploying around 40 security personnel and occupying the school premises of Sora High School, despite opposition from affected communities. The pursuance of development projects such as this Sports University with full deployment and reliance on state security forces is clear evidence of undemocratic and barbaric practices being committed by the state. The Affected Land Owners’Association against Forced Land Acquisition for Sports University further alleges that the Manipur government did not conduct an option assessment with peoples’ participation. The government has apparently also failed to consider the voluntary offer of land from villages such as Koutruk, Senjam Chirang, and Senjam Khunou. Alternatively, there are many other suitable sites for the establishment of the Sports University in six other districts, particularly in Koutruk Village in Imphal West District, where the villagers are ready to donate their land. It is clear from the abovementioned facts that the National Sports University and the proposed Asian Development Bank Funded Trans Asian Highway should not be constructed without the free, prior, and informed consent of affected communities. The heavy traffic and congestion envisaged along the Trans Asian Highway route will not provide a conducive environment for the healthy growth of sportsmen and women in Manipur. 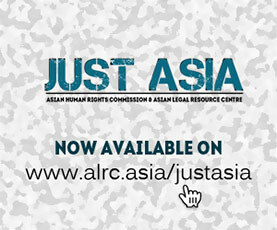 Also, further land acquisition for the Trans Asian Highway will threaten the very survival of the affected communities. Constructing a Sports University is a good idea, but definitely not at the cost of poor helpless farmers. Furthermore, any forced land-grabbing will violate the UN Declaration against forced and arbitrary Displacement and UN Declaration on the Rights of Indigenous Peoples, Article 32, which requires the Right to Free, Prior and Informed Consent of all indigenous peoples before any decisions affecting their land. The UN Resolutions 1993/77 and 2004/28 of the UN Commission on Human Rights also outline that forced evictions constitute gross violations of a wide range of internationally recognized human rights instruments and mass evictions may only be carried out under exceptional circumstances and in full accordance with international human rights law. Article 11.1 of the International Covenant on Economic, Social and Cultural Rights, to which India is a signatory, requires that the State party recognizes the right of everyone to an adequate standard of living for himself and his family, including housing and to a continuous improvement of living conditions. Please write to the authorities mentioned below requesting immediate intervention to ensure that the eviction drive against the urban poor communities of the Laguna Lakeshore area of Taguig City is called off. You may ask that the government keep a close eye on such actions which threaten the livelihood and food security of the marginalised sections of the country. I am writing to you with deep concern regarding continued harassment of people of Yaithibi Loukon, Thoubal District, Manipur by the government of Manipur. The Manipur state government in North East India has embarked on an arbitrary plan to set up the National Sports University at Yaithibi Loukon in Thoubal District, Manipur; the area has prime agriculture land. The decision, announced by the Chief Minister on August 24, 2014, without obtaining free, prior, and informed consent of the farmers and residents in and around Yaithibi Loukon, will seriously affect the land and livelihood security of the people living there. 8. The government of Manipur stops arbitrary arrest and detention of community members of Yaithibi Loukon for their democratic and peaceful opposition to the forced land acquisitions. South Block, New Delhi, India.